This week, I’m sharing my two active projects. I have a lot of WIPs / UFOs that are sitting around, waiting for me to get to them. 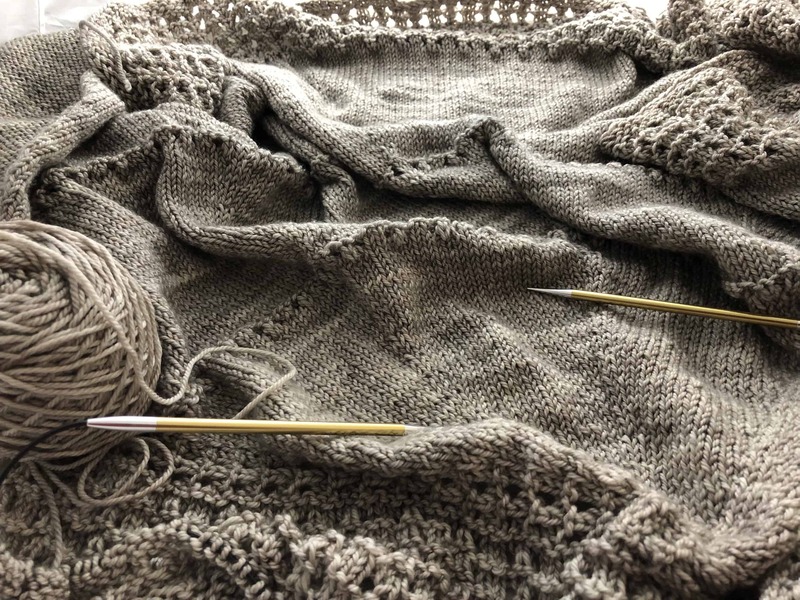 As part of the inventory that I blogged about on Monday, I will be making sure Ravelry is up-to-date with those projects. My current spinning project is two batts of SassyBee Orchid on Polwarth. SassyBee Fibers (this is a link to her FB page as her website isn’t active) is a vendor at The Fiber Event in Greencastle, Indiana, which I have attended for the last 3 or 4 years. I love her batts and I have a pile of them. In fact, all the batts in the suitcase full of batts, pictured in Monday’s post about inventory, are SassyBee batts. In addition, one of the big bins in the big pile of bins is full of SassyBee batts. They are so beautiful, but I had not spun any of them. In fact, I had never spun from a batt at all. 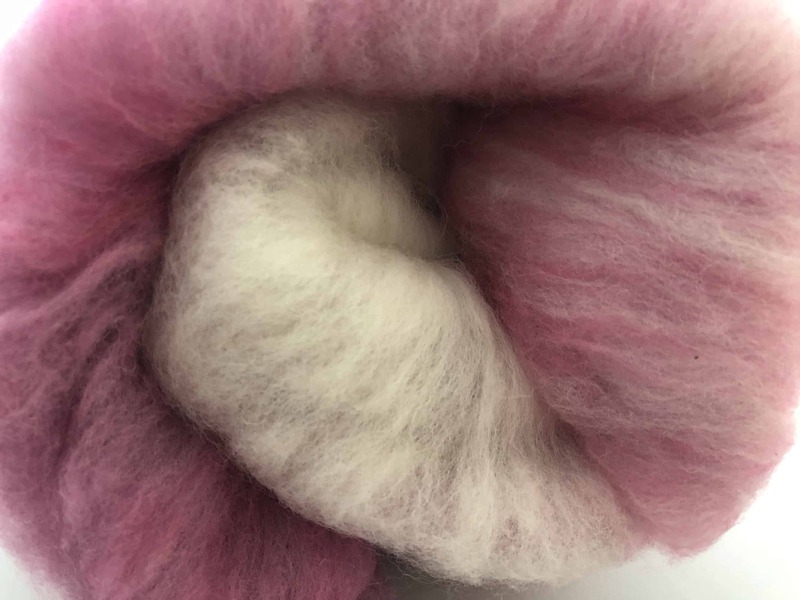 On the first Friday in December, I spent the day spinning as a demo during the Weavers of Orlando Annual Holiday Sale. My wheel was empty, so I grabbed a SassyBee batt and spun that the entire day. 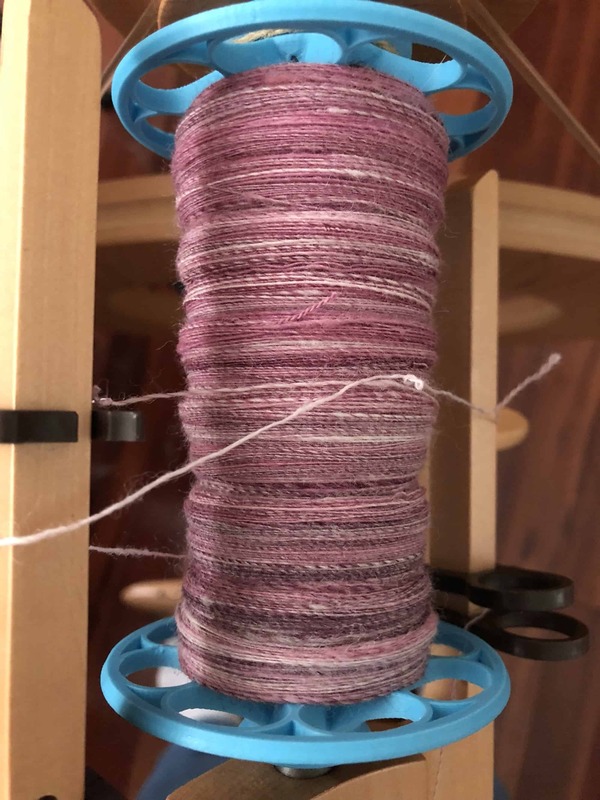 I’ve spun a little more on it since, but not a lot due to the holidays. I’m about 3/4 of the way through the first batt. Last year, my LYS had an Anzula trunk show. This cape (available on Ravelry) was one of the sample items Anzula brought with them as part of the show. I tried it on and loved it. I also thought my mother would love it. I bought the yarn and the pattern and intended to finish it for her birthday in March. Then for Mother’s Day in May. Then for Christmas. I only have about 10 rows of knitting left, then I have to weave in the ends, sew on buttons, and block it.